Welcome to our new site, Character Farm Cottages! Why build one when I am sure many of you liked the layout of the old site. Well website design constantly evolves and many of the changes are driven by what the big search engines like Google deem to be important. One of the biggest changes “demanded” by Google recently was the need to have all websites “mobile friendly” – ie the website should automatically adapt to fit on a small screen. Without wishing to go into to much detail this, along with other factors, led me to create this new website. Please have a click through and I would be delighted if any of you got back to me with ideas, suggestions and indeed any typos!! Within this section I aim to use it very much as an online guide features on things to do, places to visit and the all important recommended places to eat. For new visitors a bit about us. 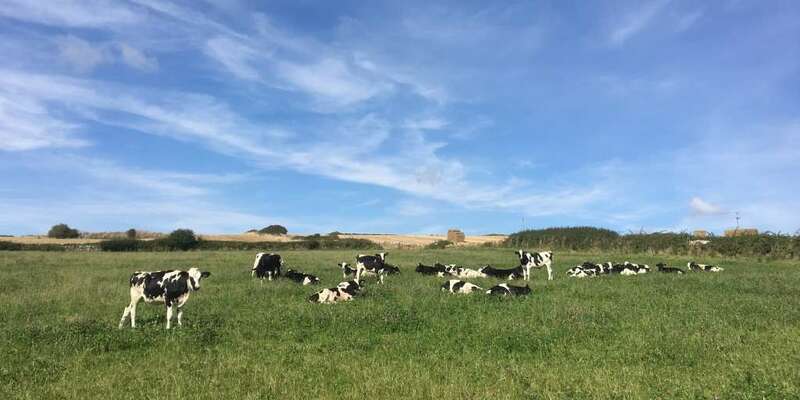 The holiday cottages are all situated on our 850 acre farm situated just to the west of Weymouth alongside the famous Chesil Beach and Jurassic Coastline. The farm is a mixed farm comprising dairy, beef and arable and is run my wife Jane and her father Rob. We milk up to 240 cows and are always delighted if any of our guests (old or young!) would like to visit the dairy to see the milking operation or see the young calves being fed. The farm is “littered” with footpaths so you will be absolutely spoilt for walks and able to enjoy the stunning scenery and spectacular views of the Fleet and the Chesil Beach. Dogs are very welcome and are spoilt for walks. Jane and her mother Ann run the holiday cottages. Ann started off with 4 holiday cottages over 30 years ago and since then we have renovated 3 more. They take great pride in the cottages and really want them to feel “home from home”. Many of our guests have been visiting their favourite holiday cottage for many years and in fact now some of the children who have stayed with us over the years are now starting to bring their children! Ann and Jane will always make the effort to meet and greet you at some stage of your visit just to make sure you have settled in and to help with any queries. I am a long haul pilot with British Airways. I am chief maintenance man when it comes to the holiday cottages, we do try to keep them up together and always appreciate you leaving any comments or feedback regarding potential improvements. I also maintain the website and handle all the email correspondence regarding enquires and bookings. As you can see, we really are a family run business! We do always try to make sure you have a fabulous stay with us.